I finished the quilting on this quilt today. I still need to do the binding. I did wash it when I finished the quilting. I usually do the binding before washing but since the circle blocks were vintage , and unwashed before I pieced them into the top, I wasn’t sure if they would shrink and cause puckering. 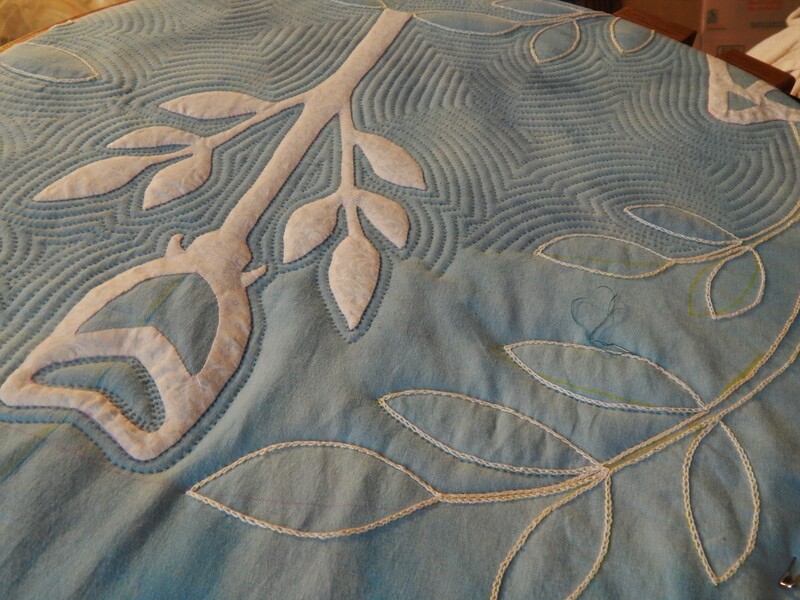 It is easier to steam a quilt flat before adding the binding. I’ll do the steaming and binding tomorrow. Tim, your quilt is beautiful! Your circle quilt from the vintage is really fun. I like the busy prints together and it seems to have a playful presence. I also love seeing the progress on the rose quilt. 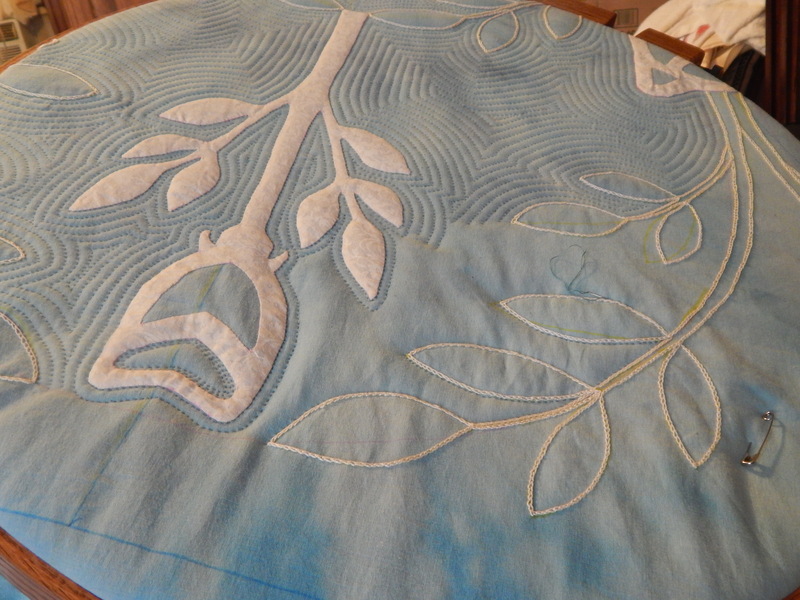 Echo quilting is time consuming but totally awesome! 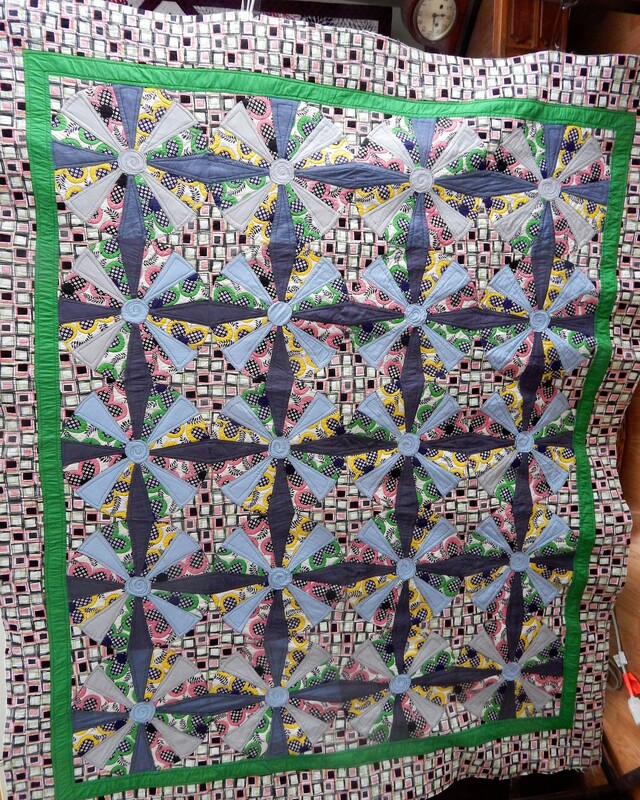 Hi Tim, I love this quilt, it has a mod look to it. I admire all the work you have done on refurbishing the lovely old machines. Your quilt looks fantastic. I cannot imagine hand quilting though. 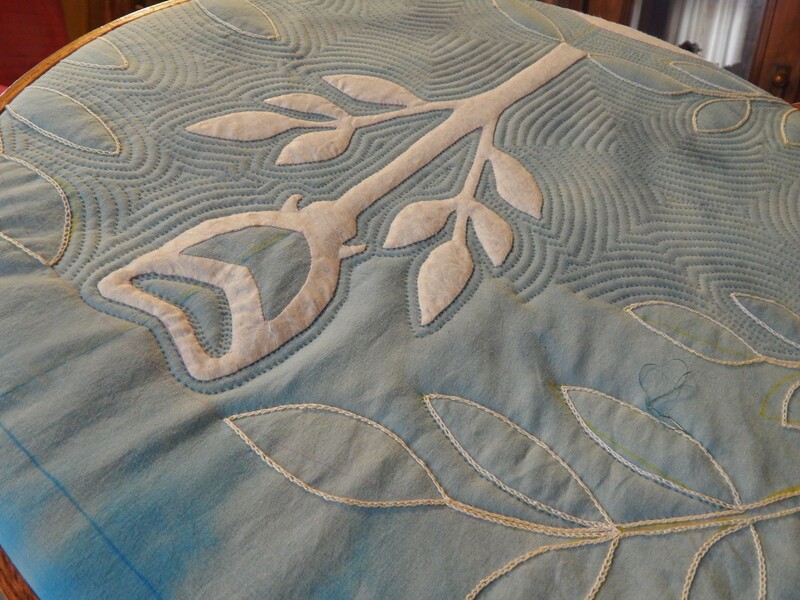 I have to say the hand quilting has a really nice look to it. It seems re-assuring and comforting.